BBC television screened a major documentary in Britain on Wednesday night, “South Africa: The massacre that changed a nation”, with a quite exceptional political reach across more than 50 years: from the massacre at Sharpeville in 1960 to the massacre at Marikana last year. That grim framework from one massacre by armed police to another – from the apartheid state under the rule of the National Party to present-day South Africa, after nearly 20 years of ANC government – from black-and-white to colour, in documentary footage – received a thread of continuity from its presenter, a former British cabinet minister whose parents had been banned activists of the long defunct Liberal Party of South Africa in Pretoria, where he grew up. 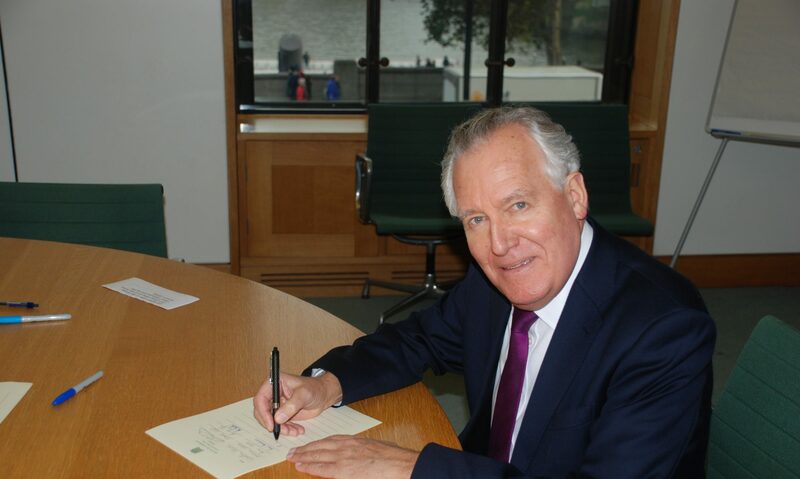 Peter Hain – chairman in 1969 and 1970 of the Stop the Tour campaign in Britain against cricket and rugby matches played against teams from apartheid South Africa, and today a veteran Labour Party MP, with a constituency in a former mining area in Wales – travelled across South Africa’s social, racial and geographical spectrum. He interviewed high and low, from President Jacob Zuma in green official gardens to the mother of a slain Marikana miner, destitute on a hilltop in the Eastern Cape. Deputy Chief Justice Dikgang Moseneke affectionately recalled bars of chocolate which Hain’s mother, Adelaine, had brought him every day while he was a youngster awaiting trial, before serving his ten-year term on Robben Island – the site of another interview, with Nelson Mandela’s Rivonia Trial co-accused, Ahmed Kathrada. A survivor of the shootings at Marikana on 16 August last year was counterposed with a senior executive of Lonmin, and both counterposed with Julius Malema giving forth about poverty and nationalisation on his own luxurious green lawn. “My husband was killed by the ANC”, said the widow of a Marikana miner. “The media exaggerates”, said President Zuma, as he explained (and explained away) his Nkandla estate, professing ignorance of its actual costs. The difficulty at Marikana, regrettable as it was, had been “provoked.” (As a journalist explained: the president’s new Secrecy Law, more terrible than anything under apartheid, was his solution to the nuisance caused to him by others). “White monopoly capital” collaborating with the ANC state, said Julius Malema, adding that the government had no clear idea about how to “resolve the two economies”, of those in the abyss and those enjoying the good life in Sandton. “It looked like the ANC turned its guns on its own people,” reflected Peter Hain, who 48 years ago as a 15-year-old delivered the memorial address which his parents were barred from giving themselves, after their family friend John Harris was hanged in Pretoria Central prison for the Johannesburg station bomb of the previous July, which killed an old woman and maimed many others. His parents’ friend, Jill Wentzel, author of The Liberal Slideaway and veteran champion of the Black Sash, sitting in the same courtroom, recalled the grim face of the hanging judge on the day of sentencing. Guided by associate producer Sue Cullinan, the programme provided as sharp and accurate a survey of South Africa’s great historic conflicts and their only very limited resolution as any likely to be seen. But between the denialism of the President (looking and sounding very uncomfortable) and the demagogic mirage of a statist heaven asserted by a very comfortable Mr Malema, there was no leadership.